With the introduction of the upcoming 2017 AEV Brute Double Cab, the American Expedition Vehicles company aims to take the current model of the Jeep Wrangler, redesign it, stretch it, and augment it. All this will be done with the sole purpose of providing any off-road junkie with the ultimate truck. Although it will come with a hefty price, the new Brute Double Cab will come with all the bells and whistles that will more than justify the eventual price. The most notable exterior feature of the new 2017 AEV Brute Double Cab, is its massive size, and a traditionally boxy look. 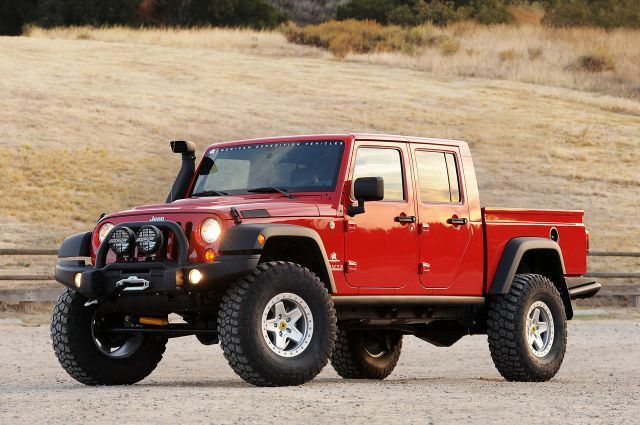 While the design is basically that of the Wrangler’s, AEV aims to leave its own personal touch. The new truck will be more than 23 inches longer than the Wrangler. 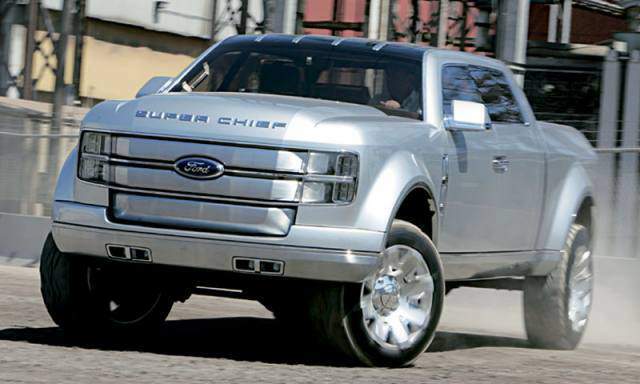 It will be distinguished by a long, 139-inch long wheelbase, and will sport 4 doors. The standard Wrangler hood is replaced with a new one, made of local steel. The tires used are also noticeably bigger, and AEV will implement its own steel tailgate design. The front of the truck will feature a new, custom designed bumper. The rest of the exterior will feature a custom composite bed, additional 7 gallons of storage water, and a Warn winch. The truck’s lighting has also received an overhaul. Its standard OEM lighting is also replaced by recon smoked LED tail lights. As far as the interior design of the 2017 AEV Brute Double Cab is concerned, we can see a number of subtle enhancements and additions. However, when it comes to the accessories, the new truck has received an almost complete overhaul. The interior will be distinguished by a brand new Alpine X009-WRA Restyle Head unit. The surfaces will be covered in high-quality custom Alea F-1 leather. For added comfort and entry-exit convenience, the truck comes also equipped with AMP Research Power Steps. All the instruments are adorned with AEV branding. When speaking about the truck’s powertrain, it’s worth mentioning that there will be one standard engine variant and 2 optional ones. The standard engine is a 3.6 liter DOHC V-6, which is capable of producing 285 horsepower. Furthermore, the maximum torque the engine is capable of producing is capped at 260 lb-ft. It comes paired with a standard 6-speed manual transmission and an all-wheel-drive. Optional engines include a 5.7 and also 6.4-liter HEMI V-8’s. The 6.4-liter variant is reportedly capable of reaching almost 470 horsepower and a max torque of 465 lb-ft. The 5.7-liter engine will be capable of reaching 360 hp and a torque of 390 lb-ft. With the standard 3.6 liter variant, the 2017 AEV Brute Double Cab will sport a maximum fuel capacity of 22,5 gallons. The truck’s maximum tow capacity is rated at 3.500 lbs. While the exact release date of the new Brute hasn’t been confirmed yet, it is expected that the truck will hit the market in early 2017. The price for the standard edition will be 41.665$. The price for custom variants will be higher, depending on the custom additions.